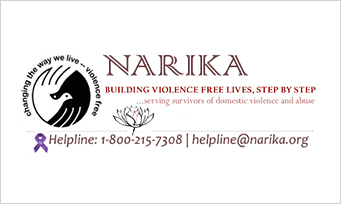 Narika seeks to confront the problem of domestic violence in the South Asian community and address the unmet needs of abused South Asians within a culturally sensitive, linguistically diverse model. Korwin Consulting assisted Narika in designing an evaluation for its Survivor Economic Empowerment and Development (SEED) program. SEED aims to prevent domestic violence and foster a safer community by strengthening the economic self-sufficiency and self-confidence of South Asian women through the development of leadership skills and the encouragement of personal and professional growth.